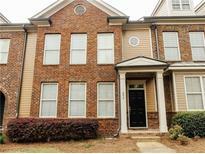 Find Canton, GA Homes for sale. View Photos, Maps and MLS Data Now! Backyard Has A Patio With Room To Grill And Entertain. MLS#6539955. Vistaray Usa, Inc..
Hampton Station - Come View These Private Lots A Rare Commodity In Todays Market. MLS#8566539. Engel & Volkers Atl N Fulton. Beautiful Condo In Sought After Villas At Riverstone * Open & Bright Floor Plan * 2 Bedrooms 2 Baths * New Interior Paint Including Ceiling, Baseboards & Closets * Great Room Complete with Fireplace Including Gas Logs * Spacious Dining Room * Kitchen Includes All Appliances, Breakfast Bar, Pantry & Laundry Closet W/Washer & Dryer * Large Master Bedroom W/Walk-In Closet * Master Bath W/Walk-In Shower * Bright Secondary Bedroom * Oversized Secondary Bath W/Tub-Shower Combo * Easy Level Access Front & Rear * Convenient To Medical, Theaters, Shopping & Restaurants MLS#6538558. Exp Realty, Llc..
Home Is On Private Cul-De-Sac For Safety And Extra Parking! MLS#6537602. Keller Williams Rlty Consultants. Hampton Station - In Beautiful Neighborhood, Builder Has Priced For Close Out Deals, You May Pick Your Colors For A Short Time Window. Best Schools In Area. MLS#8563356. Engel & Volkers Atl N Fulton. Estates At Brooke Park - This Is A Nice Lot And Is One Of The Last Opportunities In A Great Swim/Tennis Community. MLS#8563208. Re/Max Town & Country. Just Painted Interior. Ahs Home Warranty Included. MLS#8563061. Atlanta Communities. Call Listing Agent For More Details. MLS#8563264. Century 21 Scenic Realty. Harmony On The Lakes Features Multiple Pools, Tennis And Basketball Courts, A Playground, And Community Lake! MLS#6536298. 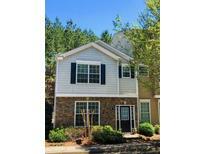 Broadus Realty Group, Llc..
Bridgemill Country Club - Convenient Location Close To 575, Shopping And Dining. Great Schools! MLS#8562678. Red Barn Real Estate Llc. Providence Walk - Cul-De-Sac Lot And Community Pool For The Kids. Hurry! MLS#8561412. Duffy Realty. Hidden Springs - Home Comes With A 30-Day Buyback Guarantee. Terms And Conditions Apply. MLS#6527582. Opendoor Brokerage, Llc. River Green - Fenced Backyard With Pergola And Firepit All On A Great Corner Lot. MLS#8556770. Keller Williams Rlty Atl. Part. Rose Ridge - Upstairs, You Will Find 4 Add'L Bedrooms & Baths. MLS#8556442. Atlanta Communities. Great Location In A Sought After Cherokee County School District * Where Else Can You Find Almost 3 Acres Right Next To 575, Hwy 140 And The New Northside Cherokee Hospital * This Is A Great Investment Opportunity * Property Features A 1973 Doublewide That Has Some Recent Updates * A Single Wide In Need Of Repairs * A Fully Functional Shop With Electricity MLS#8556206. Exp Realty Llc. Bridgemill Country Club - This Home Has Lots Of Flex Space That Can Be Used For Office, Hobbies, Storage Or Bedrooms. MLS#8554201. Therealestateexperts.Com. Canton Heights - Yard Maintenance Included In Monthly Hoa Dues. Fantastic Location! MLS#8552572. Drake Realty, Inc..
River Green - Lawn Care Included, Ample Parking, Amenities Include Pool, Clubhouse, Tennis, Playground. Great Location. MLS#6527683. Re/Max Town And Country. Garrison Farms - Do Not Miss The 3D Virtual Tour! MLS#8551013. Atlanta Communities. Awesome Location & Wonderful River Green Amenities. All Appliances Remain. MLS#6525568. Keller Williams Realty Signature Partners. Estimated Completion Date Is Late May/Early June 2019. MLS#8550029. Piedmont Residential Realty. Home Is Under Construction, Estimated Completion Date Is June 2019. 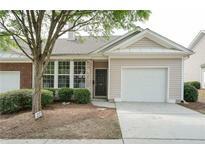 MLS#8549990. Piedmont Residential Realty. 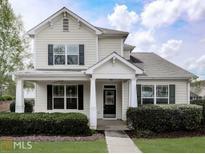 Hidden Springs - The Community Is Conveniently Located Near I-575, And Shopping MLS#6524539. Atlanta Communities. Villas At Riverstone - Neighborhood Features Street Lights, Level Sidewalks, Clubhouse And Pool. MLS#6524534. Berkshire Hathaway Homeservices Georgia Properties. Hidden Springs - Office/Den Is Located On The First Floor. MLS#6523964. Atlanta Communities.